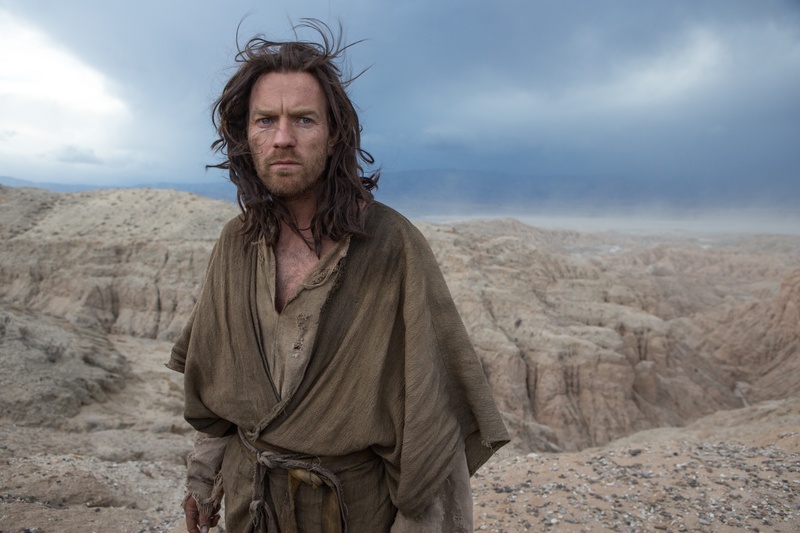 A movie starring Ewan McGregor as both Jesus and the Devil sounds like a the sort of high-concept bad movie idea you would see in a Hollywood satire, like Ricky Gervais’ “Extras.”And yet “Last Days in the Desert” exists, and is really good. Rodrigo Garcia’s lovely and humane film avoids Sunday School preaching to present a Jesus who’s kind, questioning, and yet unmistakably the Son of God. He also may be the first cinematic Savior we might like to have a beer with – he may be holy, but he’s not above giggling at a good fart joke. This is not a biopic about the “real Jesus,” the actual historic guy, but kind of a Bible bonus track of a parable that shows Jesus grappling with that fact that “his dad,” as McGregor put it in the post-show Q&A, won’t talk to him. Clad in rags, Jesus wanders through the desert looking for some kind of sign from above. The film is shot in the California desert to stunning effect by Emmanuel Lubezki, the peaks and valleys undulating off into the distance like ocean waves. Eventually, Jesus comes to a camp where a family is living. Mother (Ayelet Zurer) is deathly ill, Father (Ciaran Hinds) is authoritarian and remote, and son (Tye Sheridan) is eager to leave the desert for Jerusalem. The Devil makes Jesus a deal; if he can resolve the situation so that all three are happy, the Devil will leave Jesus alone. The strained father-son relationship mirrors Jesus’ own frustrations with “Dad,” and Garcia’s screenplay eloquently uses one to explore the other without losing the essential humanity of the characters. If “Last Days in the Desert” was just an empty vessel, it would be worth watching because it’s so beautifully shot and so well acted. But it’s rich with both ideas and empathy; as a Christian-themed film, it’s such a refreshing counterpoint to the shrill multiplex fare of movies like “God’s Not Dead” and “Left Behind.” But people of all faiths, or none at all, are susceptible to be moved by it. 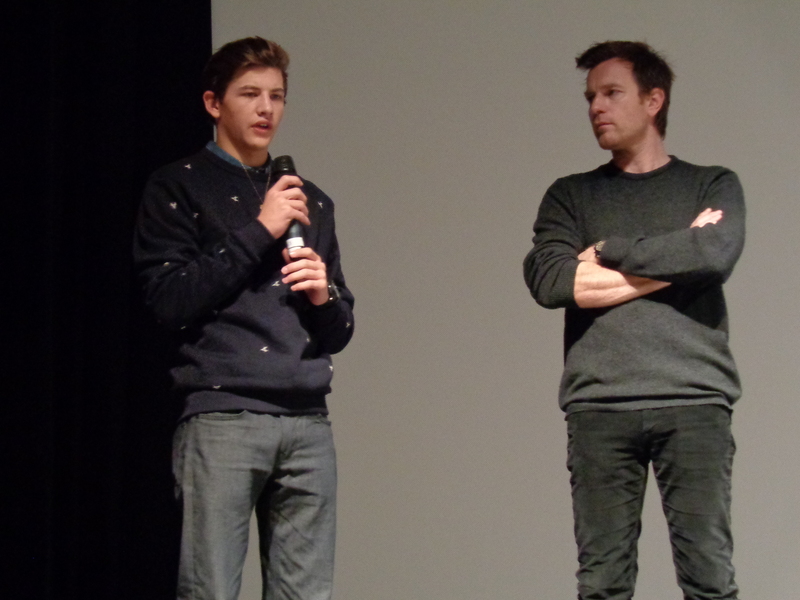 In the post-show Q&A , McGregor said he grew up with a religious education, and spent a lot of time reading scripture and books about Jesus to prepare for the role. “I spent so much of my time thinking about playing Jesus, because it’s impossible to think that you’re going to do that,” McGregor said. As for the Devil? “He seemed to come rather naturally,” he deadpanned. The photography of the southern california desert alone makes the film worth watching. I was prepared to dislike it because it doesn’t follow any real scripture, but it sill a very good story. All in all a film of a very beautiful area and wonderful vistas.